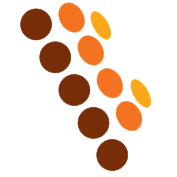 Tableau TD3 Forensic Imager is Tableau’s latest release in their forensic imager. So what is actually different from this Tableau TD3 that makes it stand out among the crowd? The answer is everything, as in everything about it is prominent. Tableau TD3 is a high performance, reliable, and easy to use forensic duplicator – with a high resolution, color touch screen User Interface (UI). 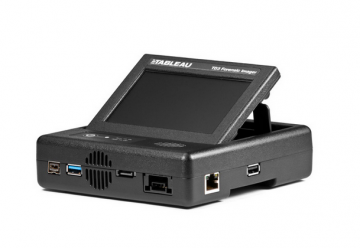 Yes, Tableau TD3 Forensic Imager has color touch screen UI that’s enough to make it as a groundbreaking innovation in forensic duplicator design. But Tableau TD3 is much more than a forensic imager with a touch screen. It’s advanced modular design is out of this world. Tableau definitely keeps up with what’s hot, and the touch-screen interface on the recently released Tableau TD3 is one solid proof. This specific feature is presented to make operating, monitoring and controlling much easier. A pop-up software touch-screen keyboard for convenient alpha-numeric data entry, log review, or network connection setup is also included in the Tableau TD3. An external keyboard can also be connected to the general purpose USB 2.0 port when considered necessary. Forensic imaging is elevated to the next level with the release of Tableau TD3 as each system is built to directly connect to a Tableau TDS2 SATA Drive Enclosure without any wiring or cables needed. Simply stack the Tableau TD3 on top of the TDS2 SATA Drive Enclosure and slide. The two devices will be instantly connected and the imaging function can be immediately initiated as soon as connections to the appropriate port is plugged in and the power is up. Imaging SATA, USB 3.0/2.0/1.1, SAS, IDE, or FireWire (1394 A/B) device is accomplished easily with TD3. In each Tableau TD3 Forensic Imager Kit, included one TDS2 SATA drive enclosure that is a unique evidence vault. The combination between the two devices forms a base that is clutter-free and completely stable. Other evidence storage options are bare HDD and Tableau Modular Storage products, of course wih suitable cable. Imaging or uploading previously imaged evidence to iSCSI or CIFS network file shares is also made possible by the Gigabit Ethernet connection in Tableau TD3. Tableau TD3 can also serve as a remote write blocker, enabling central command to preview or collect data from a storage device located even thousands of miles away. In some cases, accessing data remotely is safer and more convenient. Via the internet, any remote PC can access Tableau TD3, made possible by the appropriate IP address. Storage devices connected to Tableau TD3’s write blocked ports are presented as an iSCSI target. Tableau TD3 Kit is a complete package consisting of Tableau TD3 imager, a TDS2 modular enclosure, a TDXP5 IDE expansion module, a full set of Tableau drive adapters, cables and power supply.